An elderly woman had a narrow escape after a mobility scooter burst into flames and started a fire in a Housing Board block of studio units for the aged in Bedok on Saturday (27th Oct 2018). A resident, 83, had left his two mobility scooters on a fifth-storey corridor before going to church, Chinese-language daily Lianhe Wanbao reported. The devices were not being charged at the time, but one suddenly gave out sparks before catching fire and engulfing the corridor in thick smoke. The man's next-door neighbour, a 70-year-old woman, was watching television when she heard several explosions and noticed smoke seeping into her home. A good Samaritan came to her rescue repeatedly doused water over the flames with a bucket before trying to knock the door down. She then handed the keys to him through a window. She was eventually pulled out to safety. 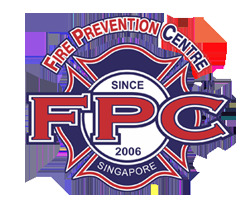 The Singapore Civil Defence Force (SCDF) said it was alerted to the fire at Block 509B Bedok North Street 3 at about 2.30pm. The fire was put out before SCDF's arrival by people using buckets of water, it added. There were no reported injuries and the cause of the fire is under investigation.